1 Why Do You Need Home Improvement? 1.1.2 What must be Your First Move? 1.1.3 Why is the Redesigning of Kitchen and Bathroom Crucial? 1.1.4 How Can You Make Your House more Friendly? Why Do You Need Home Improvement? There are times when you wish to update the out-of-date stuff of your house such as repairing an existing structure, remodeling certain parts to give them a facelift, or making additions to improve the quality of life; then your home certainly needs a makeover. For instance, your kitchen color scheme was a perfect combination a few decades ago, now it is the appropriate time to change. Sometimes in specific home improvement projects, you need to replace inefficient fixtures immediately. For instance, if you need to replace either a sink, tub, or toilet, then consider doing a makeover on the entire bathroom to avoid the future expenses for the same. If you are outlining to sell your home at a better price, be sure to make the required changes to turn it look modern because no dealer is willing to pay extra for an old house. However, make sure you evaluate your plans carefully to avoid going overboard to help others. Also, remember not all the buyers will appreciate the taste and care you took to find the suitable amenities for your house. So, spend wisely while fulfilling your desire of selling your home. There are times when even after exploring multiple options, you think staying in and improving your home is a better choice than moving somewhere else. Therefore, in this situation, you need to upgrade your house to give it an advanced look and to make it an excellent place for your stay. 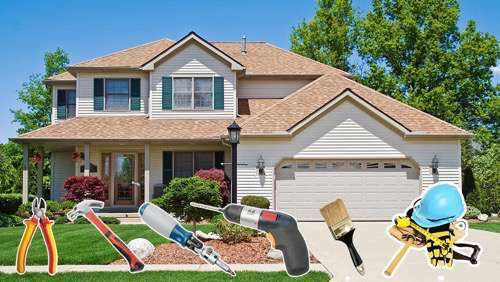 The above are some of the crucial reasons which show the importance of home improvement projects. So, now let us discuss the home improvement tips to follow to increase the value of your place. 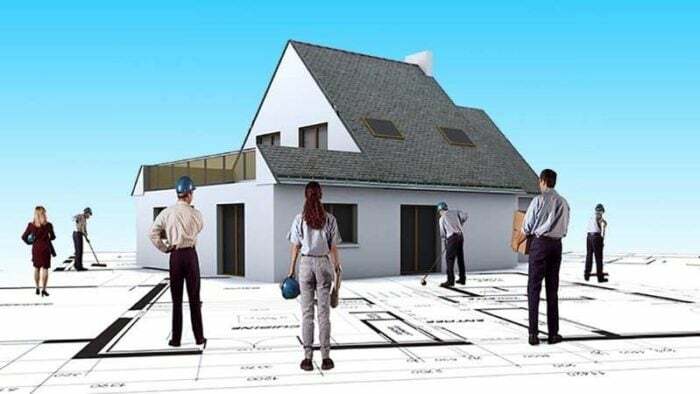 Before you decide how to improve your house, you must figure out why your home needs a change, what is your budget, and what result will satisfy you. Set a goal about the final look of your dream house. What must be Your First Move? At first start with repair moves. Make a list of all the household items which need repair such as ceiling problems, the plumbing job you have been putting off, attic insulation, and many others so that you do not leave anything unrepaired. However, keep in mind this holds true even if you are planning to stay back in the home, put it on rent, or put the house on sale. Why is the Redesigning of Kitchen and Bathroom Crucial? Remodeling of the kitchen and bathroom is a smart home improvement move if you are preparing to put your house on sale as it increases the value of the house immediately. No doubt modern amenities and outlook impress everyone, but the primary concern of every owner is both modular kitchen and bathroom fittings which are an expensive venture and that everyone cannot afford. Are you also worried? If yes, then you must not worry now because if you research appropriately, you can even get it done with a little investment. How Can You Make Your House more Friendly? All the home improvement projects which involve reconstruction must be thought out thoroughly not to look out of place in the house. Generally, the purpose of revamping is to improve lighting, provide more space, and glamorize the home. While redesigning the house, the architects follow significant steps to bring an improvement in the atmosphere. For instance, if you break down the kitchen wall to create an open kitchen, it will immediately make the home more friendly and sociable. If you make special additions such as a deck, pool, or an outdoor storage area according to the requirements of a family, then it will add excellent selling points for your home. Apart from this, if your house has an extra outdoor space the buyers will surely prefer your home more because people wish to enjoy every comfort at their place. However, make sure you consider the neighborhood and only make changes which would blend in with your house thoroughly. Improving the energy efficiency is an excellent idea for a householder because it not only cuts down on the electricity and gas bills but also it is a great thing to do for the environment. Improvement in the insulation of your home is a long-term blessing. Investing in solar energy is another way to improve the house for posterity. To conclude, it is evident that home improvement projects carry out only on a whim. So, it is also essential to evaluate why you require a specific home improvement project, and what you will gain from the investment. No doubt home improvements which involve repair increase the comfort of your home and its longevity, therefore, they are essential. However, make sure you carefully evaluate all sorts of home improvement needs before embarking on them.